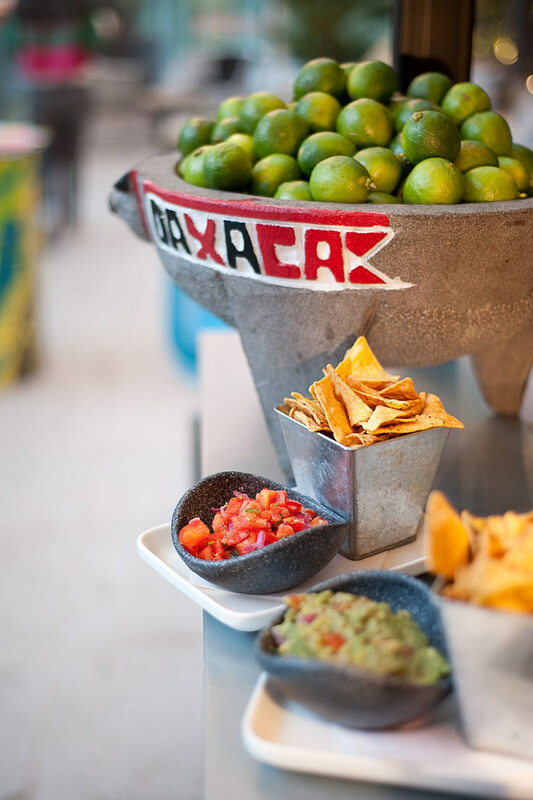 Wahaca is one of my favourite London restaurants to visit when I go and hangout with my blogger friends. I've been to the Southbank one a few times and I was really glad to hear that this chain which specialises in fresh and seasonal Mexican street food was going to open its first non-London restaurant at St. David’s, Cardiff. 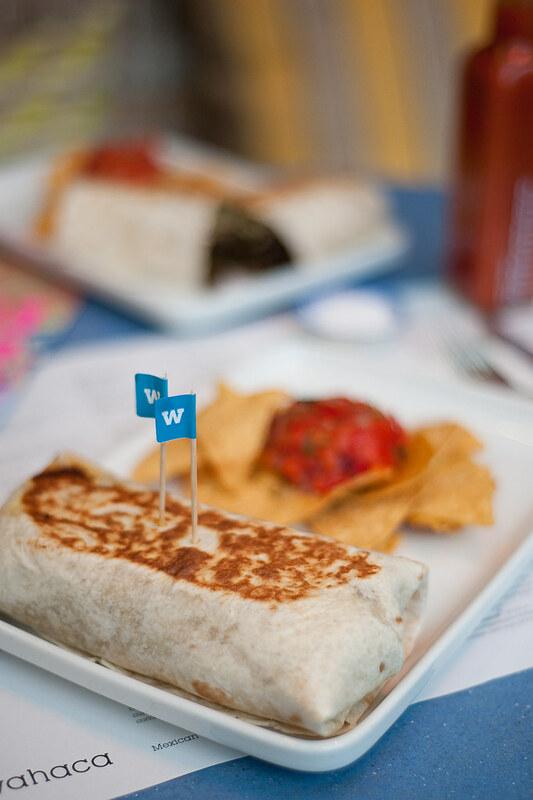 Wahaca first arrived in 2007 and was founded by Thomasina Miers the 2005 Masterchef winner. She was inspired by her travels to Mexico swapped and cooking in a Michelin-starred restaurant to open a UK restaurant that would reflect the vibrant colours, flavours and buzz of the Mexican markets. Thomasina wanted “to overturn the prevailing ‘Tex-Mex’ stereotype of tequila girls and greasy tortilla chips" I love Mexican food but a lot of what we're served up in the UK is cheap meat covered in melted cheese and is more about quantity than quality. I went along to try some of the food with Martyn and see what the Cardiff store had to offer just after its launch. The restaurant has a really unique feel with bold street art murals, feature lighting and lots of colour. There's a no-reservation policywhich can mean queues at the weekend but don't let this put you off, there's a bar upstairs where you ca have a pre meal drink whilst you wait for a table. 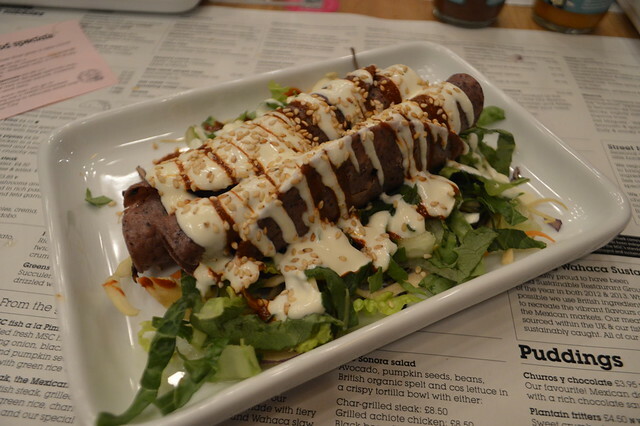 The menu comprises of two main sections and you can choose between street food or bigger plates. If you're ordering street food you choose 2-3 dishes. Both options are value with the smaller plates are around £4 and the large plates cost about £10. Martyn and I chose come pork scratchings and super fresh guacamole to nibble on whilst we waited for our meal. These were amazing and one of the highlights of our evening there. The scratchings were really light and the guacamole was fresh and worked surprisingly well with the pork scratchings. I wasn't sure the combination would work well but it was a winner. We ordered a mix of street food dishes including Pork pibil which is slow cooked pork in aYucatecan marinade with pickled onions, grilled British steak with grilled cheese & salsa and a seasonal duck dish. We shared three of those and the British steak was the highlight as it was cooked to perfection. 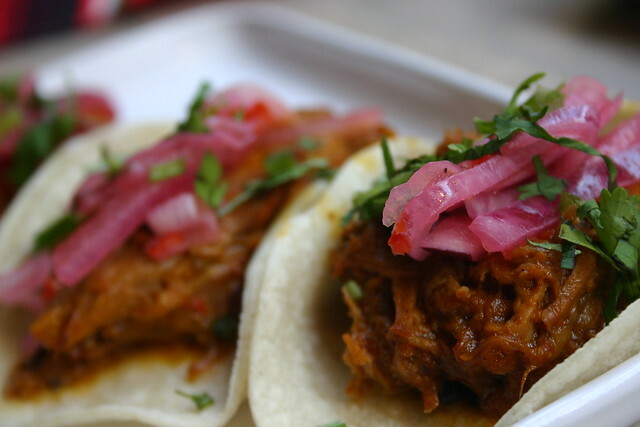 We also opted for a Slow-cooked pork burrito which was served with pink pickled onions & habanero chillies. It was tasty a little tame for my tastes (I add chilli to EVERYTHING) but the beauty of Wahaca is that everything is cooked fresh on site so if you like your food a certain way you can just ask for some alterations. cake which was completely overshadowed by the scoop of peanut butter ice-cream that topped it. I'm an ice cream lover and I could of eaten three scoops of this as a dessert in it's own right. 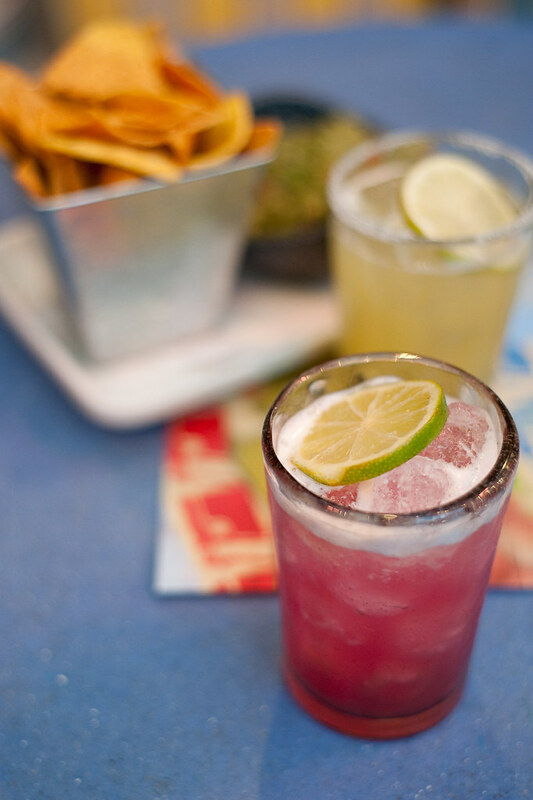 I really enjoyed my visit to Wahaca, there was a nice buzz all evening and the staff were all really attentive. I was struck by the freshness of the food and simple things like salsa and guacamole were made so well they stood out and you normally forget about accompaniments like that. I can imagine visiting again with a group of friends for an informal lunch or cocktails and nibbles in the bar. 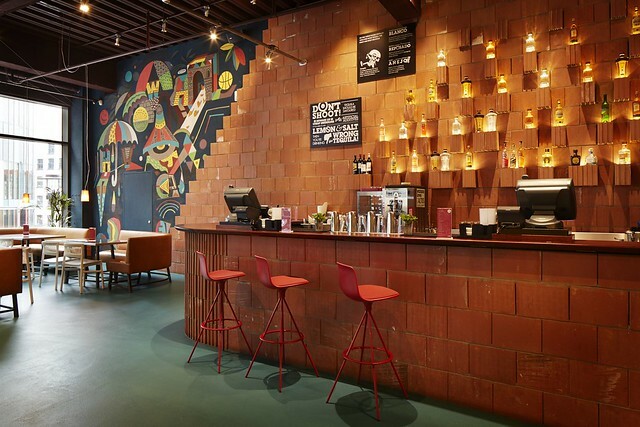 *I was a guest of Wahaca, invited along to try the food and take a look at the interior. Ah I have such a soft spot for Wahaca! This looks amazing! If there is one in London I really need to find it. Ooh! 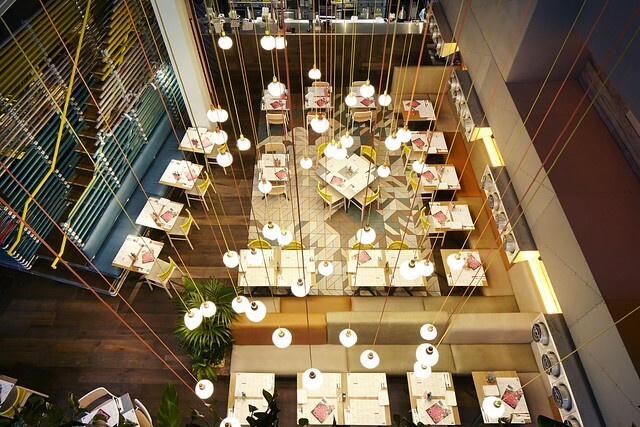 Wahaca opened just after I moved from London, so disappointed I didn't get to try it, I've heard such good things!